A roundup of responses to the president’s announcement. Keep in mind that the Joint Comprehensive Plan of Action (JCPOA) was not a bilateral agreement between the U.S. and Iran. Other signatories include Britain, Germany, France, Russia and China. The agreement was also approved unanimously by the UN Security Council. I’ve gathered some of the reactions to Trump’s announcement today that the U.S. will violate this multilateral agreement. Iranian Pres. Hassan Rouhani said he has directed his diplomats to negotiate with European countries, Russia and China about remaining in the nuclear deal despite the U.S. withdrawal from the agreement. But others have been less forgiving, urging Iran’s leaders to immediately withdraw and restart suspended elements of the country’s nuclear program if the United States left the deal. President Trump’s decision today to withdraw from the Iranian nuclear deal is a major strategic mistake that not only damages the United States’ ability to prevent Iran from acquiring the material for a nuclear weapon, but also impairs our ability to prevent the spread and use of nuclear weapons, to work with allies and partners on issues of global concern and to protect our interests in the Middle East for years, if not decades, to come. The Iran nuclear deal rolled back Iran’s nuclear program and imposed uniquely stringent monitoring and verification measures—the most important elements of which were permanent—to prevent the country from ever developing a bomb. 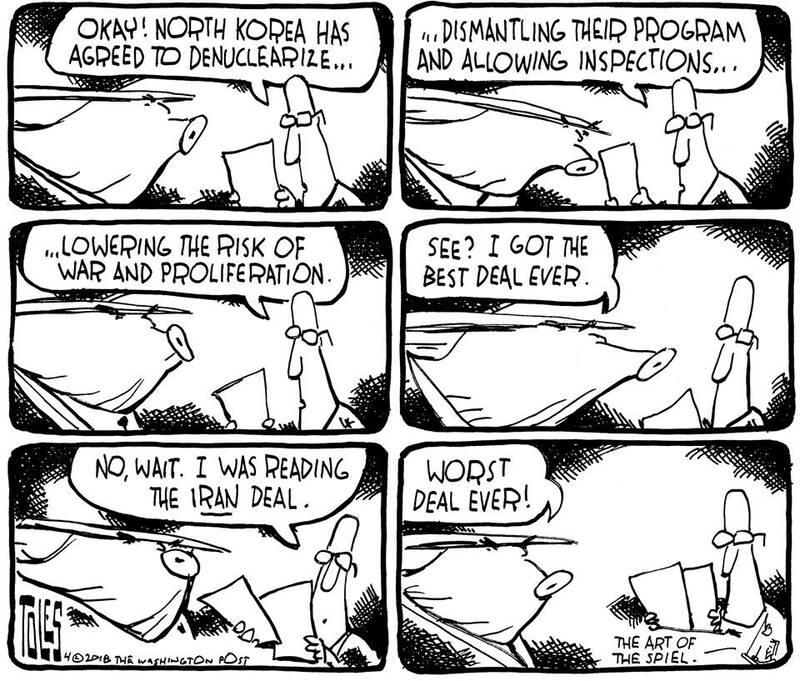 The United States is now in violation of the terms of the deal without offering a credible alternative. The Iran deal is and has always been about depriving Iran of the nuclear materials—highly enriched uranium and plutonium—needed to make a weapon. As international inspectors, who have been on the ground every day since the deal was concluded, have confirmed: the Iran agreement has accomplished this. The fact that the advice of this nation’s most important allies was ignored in this decision adds to the consequence of the President’s decision. Remaining in the agreement was very clearly in the U.S. national interest. It’s hard to predict what will unfold from here, but the President has driven a deep wedge between the United States and our allies in Europe and has withdrawn from the process that would allow a comprehensive investigation of the Iran archives recently revealed by Israel. The President’s decision to follow his misguided and uninformed campaign promise to destroy the successful Joint Comprehensive Plan of Action endangers global security and defies comprehension. This rash decision isolates America, not Iran. Our allies will hold up their end of the agreement, but our government will lose its international credibility and the power of our voice at the table. The President’s decision to abdicate American leadership during a critical moment in our effort to advance a denuclearization agreement with North Korea is particularly senseless, disturbing and dangerous. Beyond the potentially catastrophic consequences with Iran, Trump's decision is devastating to U.S. credibility globally. After this, why would anyone trust an international agreement that the U.S. negotiates?